I especially like the neck, with its soft shadows. I painted several layers over the legs, but I’m not as happy with them as with the neck and head. 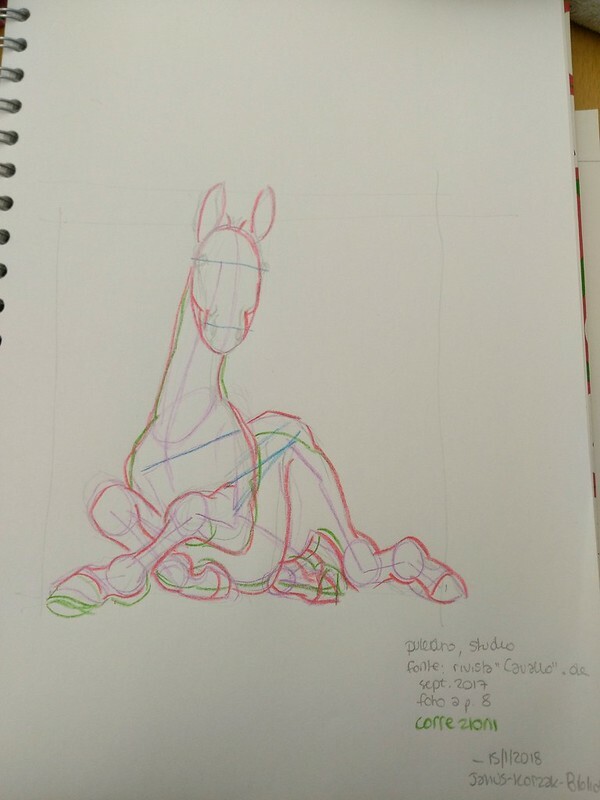 Any tips from more experienced artists? Just type a comment below! I’d be very grateful for your feedback. 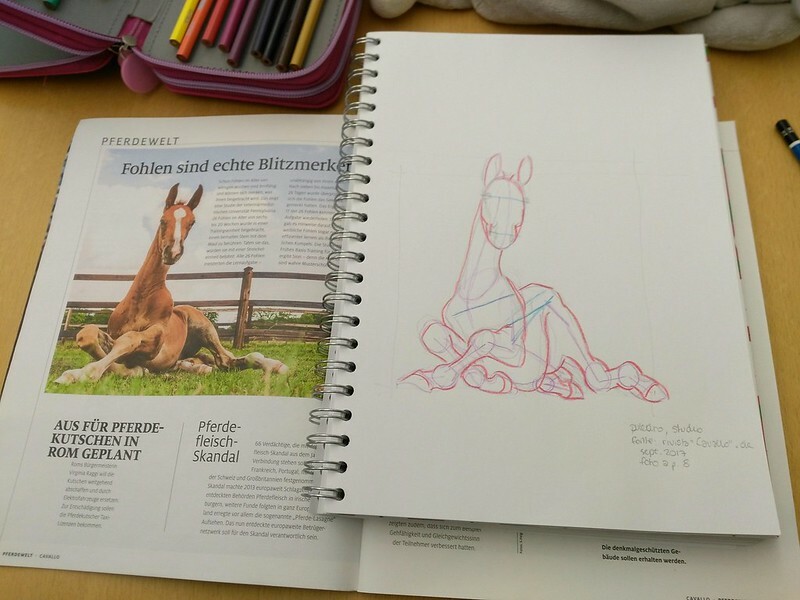 I first measured the total height and width of the foal with my pencil, and found out they were the same, so I transferred the measurements on the sketchbook and drew a large square. Then I measured with the pencil some intermediate points, like where the ears met the square, where the elbow was, how high was the hip from the bottom of the square. I didn’t make much measures and started outlining the shapes right away. Therefore, when later I looked at the picture and the drawing side to side, I had to make a few adjustments in the proportions. I’m going to continue another day, by using a new sheet of paper and copying only the outlines, and then proceed to draw the shading. 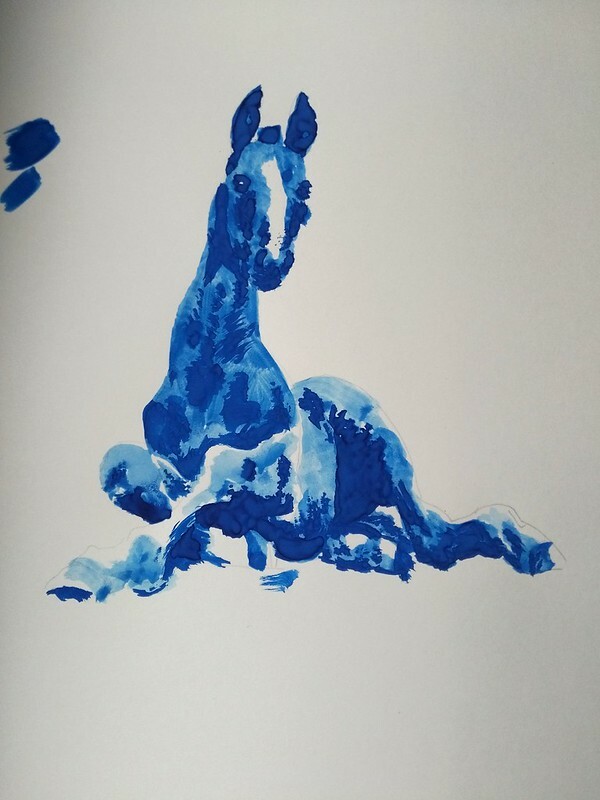 I will maybe do another sketch with watercolour, to quickly test the main shaded areas, and to resume with that technique too. I’ll keep you posted!